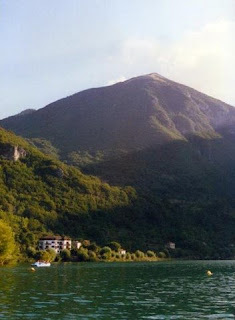 One glorious morning in August our friend Gianluigi drove us to beautiful Lake Scanno (Lago di Scanno) for the day. The journey from Sulmona to Scanno on the rocky mountainous road through the Sagittario Gorge was really spectacular but I was glad to be a passenger and not a driver with roads that looked like this! 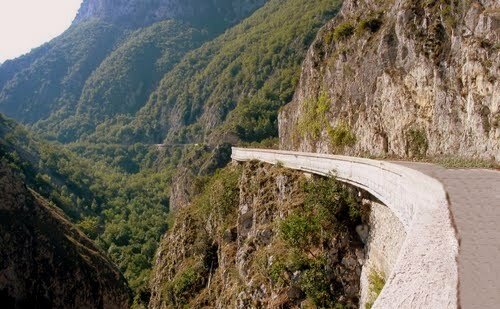 He had to negotiate this narrow serpentine route with its blind hairpin bends, while we admired the magnificent panorama. Passing through this area the scenery was truly breathtaking. At a height of 1,300m above sea level in the village of Frattura, the road opened out and we had our first glimpse of the splendid lake. From this vantage point you can see the whole of the gorgeous heart shaped lake. 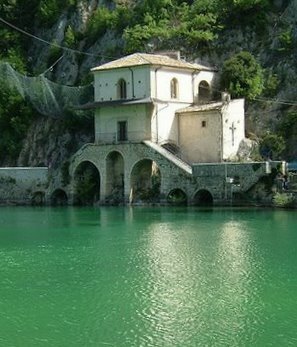 Lake Scanno is in the province of L’Aquila and is the largest natural lake in Abruzzo. When you get closer to the shoreline, the color of the water is quite striking – it takes on a turquoise, almost emerald green hue. Lago di Scanno has been awarded Blue Flag status for several years and this is evident in the clean, crystal clear waters. When we stepped out of the car we took in the thin, fresh mountain air. This enchanting place is beneficial for body, mind and spirit; the idyllic area amazes and inspires you to dream and relax. 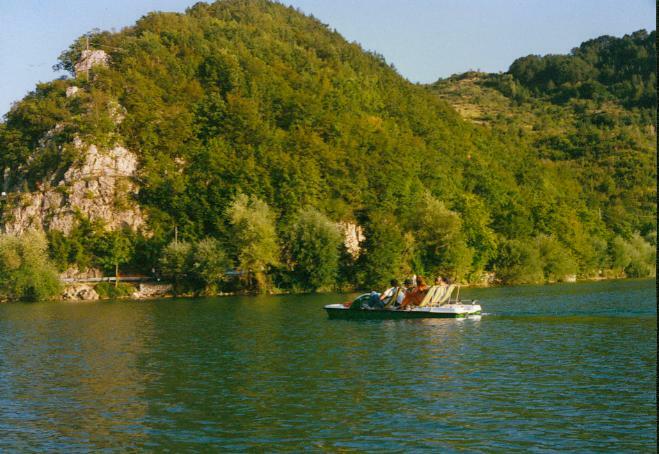 Lake Scanno itself is located at an altitude of 922m above sea level between Montanga Grande and Monte Genzana, so the temperature is very pleasant in the summer. The surrounding towns of Scanno and Villalago are situated in a wooded area of Montagna Grande. 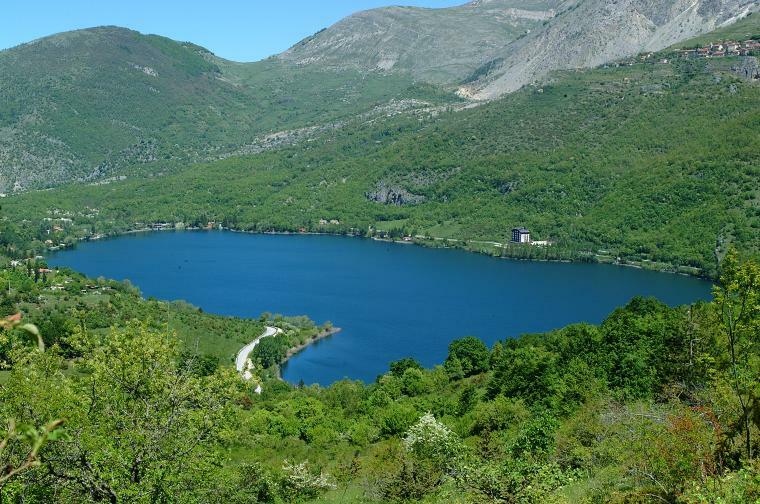 Half of the lake is protected by the Abruzzo National Park and in the other half fishing (mostly of perch and trout) is controlled by the municipality of Villalago. There are plenty of ducks on the lake and other birdlife here is largely composed of peregrine falcons, hawks, owls and eagles. We admired some of them soaring impressively overhead. 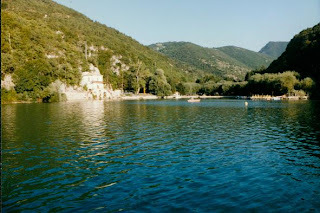 The magical, sparking waters of the lake invite swimmers, rowers, canoeists and pedalo riders. We spent the afternoon exploring the lake in one of these pedalos. We took turns pedalling and it was a really fun way to spend a few hours and work up an appetite for our picnic. There are also several nice restaurants in this tranquil, romantic setting - one of which is Trattoria sul Lago. 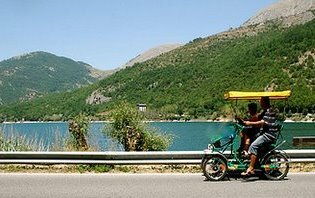 A lovely promenade and cycle track (5.4km along the ring road) surrounds the lake and you can also rent out four-wheeled bicycles like these ones. You can also hire horses and go riding in the surrounding mountains. In winter this is a lovely skiing area. 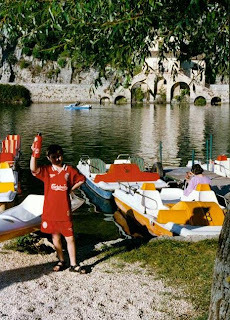 Lago di Scanno is a wonderful, magical place that has left a lasting impression on me. If you are ever in the area, I highly recommend that you include it in your itinerary. 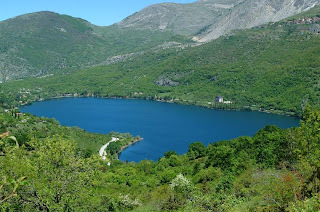 It is the most popular lake in the tourist region of Abruzzo! The water in all these places looks fresh!!!! ..rhere is somethin' in that lake..strange things happened..